We're heading into the home stretch in America's unusually lengthy (six months and nine days) primary election season. Some three-quarters of Americans have had a chance to vote for Democratic and Republican candidates for Congress, and state and local offices. Their choices tell us something about the results in November. But not everything, including which party will win the apparently close battle for a majority in the House of Representatives. The consensus of those who follow these elections most closely is that the Democrats will win. The most recent evidence comes from the ultra-narrow victory of Republican State Sen. 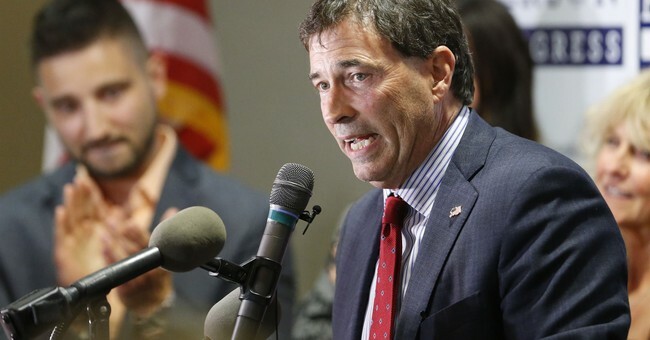 Troy Balderson in the special election for Ohio's 12th Congressional District. Balderson beat Democrat Danny O'Connor 50 to 49 percent, only a 1 percent margin, in a district that gave President Donald Trump an 11 percent margin in 2016 and Mitt Romney a 10 percent margin in 2012. Ohio 12 is one of those hybrid districts, about half suburban and half urban, about half rural and half small-town. It includes part of the Ohio State University campus and affluent northern suburbs of Columbus, the Midwest's fastest-growing major metro area, plus most or all of several counties to the north and east. Romney carried both suburbs and small counties by modest margins. Trump got whacked in the affluent suburbs but won the small counties by overwhelming margins. On Tuesday, and even more in early voting, Democrat O'Connor carried upscale suburban precincts by robust 2-1 margins. Republican Balderson ran well but not as far ahead as Trump, amid lower turnout in the small counties. Another way to put it: Republicans get the worst showings of both of their last two nominees, losing even further ground among white college graduates while failing to duplicate Trump's gains among whites non-college graduates. That pattern was discernible in earlier special elections and makes it easy to see how Democrats could win a House majority. It's widely attributed to Trump's combative and provocative style. There's something to that, of course, but not everything. The voter shifts from Romney 2012 to Trump 2016 were actually small by historic standards, and the steadiness of Republican and Democratic percentages in the two-plus decades since 1994 have been historically small, with a steady increase in straight-ticket voting till 2016. What we've also seen in congressional elections since the middle 1990s is a resistance to one-party control. With close presidential elections, only a few voters need to defect in the off year to produce this result, and except for the contests just after 9/11, they have. Former President Bill Clinton faced Republican Houses and Senates for six of his eight years in office. Then-President George W. Bush's Republicans gained seats in 2002, but he faced a Democratic House for two years and a Democratic Senate for three and a half. Former President Barack Obama faced a Republican House for six of eight years and a Republican Senate for two. You can ascribe the losses of each president's party as the predictable result of some combination of extremist overreach, legislative fecklessness, personal scandals and suspicion of insiders. But for one reason or another, they keep happening and could again this year, when Republicans could lose their House majority and might conceivably, despite their advantage in seats, lose the Senate, too. But there's reason to be cautious about predictions. Republicans' big gains weren't visible at this point in the 1994 cycle (I wrote the first article predicting they might win a majority, in July), nor were Democrats' big gains in 2006 or Republicans' sweep of Senate seats in 2014. Nor are area polls this far out always a reliable guide to November. Except in early June, Democrats have had a 6 to 8 percent lead all year in the RealClearPolitics generic congressional vote poll average. But it's suddenly down to the lower end of that range, numbers that could produce a Republican majority in the House (because Democratic voters are demographically clustered in relatively few districts). Does that signal a genuine shift in sentiment, or is it just statistical noise? No one knows for sure. Corporate America seems to be joining with affluent Trump haters to give Democrats a significant money edge in many key races. But then, the smart money was overwhelmingly on the side of Hillary Clinton two years ago. In that race, like the House races this year, Democrats started off ahead in turnout, but Republicans managed to squeak out just enough votes in the right places to win -- as they did in Ohio 12 this week, and may or may not in November.